Halloween Event Transportation Has Never Been Less Scary! Halloween Event Transportation and Fun For Everyone! Looking for some Halloween fun this season? Visit one of the many “fright nights” in LA and Orange County or take your pumpkin to the patch for hayrides and corn mazes. 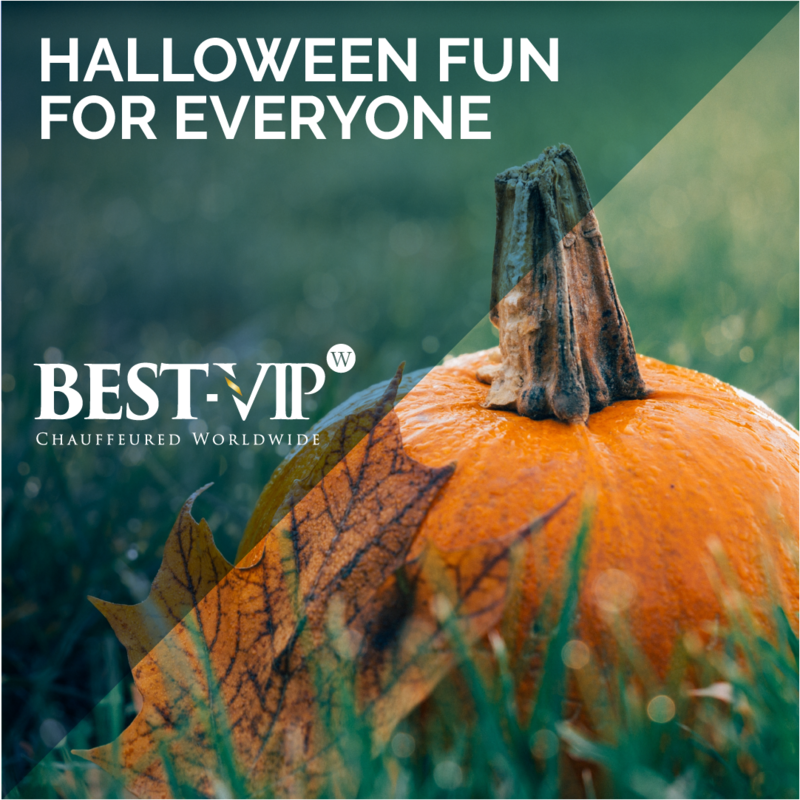 We’ve compiled a list of fun and spooky activities in Southern California that everyone is sure to enjoy and whichever way you decide to celebrate the holiday, BEST-VIP has your Halloween event transportation covered! Every October, tiny parking lot patches sprout up all over the city and local farms bring out their best orange squash—from tiny little gourds to massive twenty-pounders. Make your way to Tanaka Farms in Irvine for a Hello Kitty-themed farm experience featuring festive activities like wagon rides, a corn maze, petting zoo and sunflower fields. At Pa’s Pumpkin Patch, treat yourself to a weekend of classic festival favorites like water bumper cars, giant slides, fun houses and a massive collection of varied pumpkins to choose from. In Culver City, find the farm oasis of your dreams in the middle of the hustle and bustle! Mr. Bone’s Pumpkin Patch is a slice of harvest that provides pony rides, elaborate face painting, a super slide, pumpkin decorating, and a jumpin’ pumpkin. Face your darkest fears at Southern California’s scariest, most intense event – Universal Studios™ Halloween Horror Nights™. The movie studio that invented the horror genre brings to life all-new immersive worlds of living, breathing icons from the most creative imaginations in film and television. Dark Harbor descends upon the haunted Queen Mary, offering six terrifying mazes, new paths and secret rooms, nightly live entertainment, haunted bars and exciting rides. Knott’s Scary Farm is the largest and most haunting Halloween experience in Southern California, with unimaginable scares and innovative thrills that can’t be found anywhere else. Treat the imagination at Boo at the L.A. Zoo, taking place throughout October at the Los Angeles Zoo & Botanical Gardens. The spooky and safe family festivities offer Halloween adventures every day in October and special entertainment on weekends, including roaming costumed characters, pumpkin carving, a musical puppet show, crafts, and more. The annual Scarium of the Pacific is a spooktacular, educational Halloween event for the whole family. Special Halloween programs include the annual children’s costume contest, magic shows, spooky storytelling and the eerie animals of the Great Hall. Halloween Event Transportation That’s Not Frightful! Ride responsibly to the celebration with BEST-VIP. Ride-hailing apps cannot guarantee your safety as a passenger and Halloween or not, that’s scary! At BEST-VIP, we guarantee that all of our drivers are thoroughly background checked, assuring you are in good hands. They are also required to attend a driver training program that includes driver duties, customer service, safety, and defensive driving skills. BEST-VIP guarantees that all vehicles from our fleet receive regular maintenance and have proper licensing permits. Your Halloween event transportation needs are covered with BEST-VIP, making this Halloween a lot less scary!